The Department for Transport makes Average Annual Daily Flow (AADF) calculations based on traffic counts on key routes. On the map below we have identified those count points which fall on the Olympic/Paralympic Route Network. 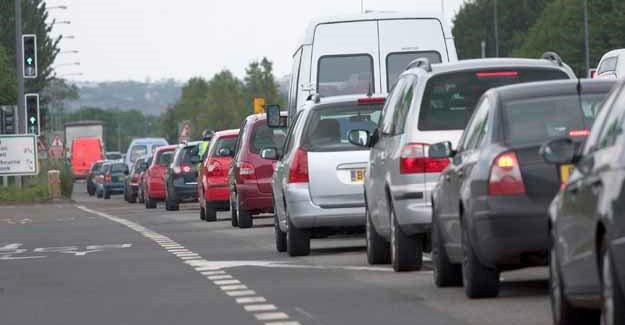 By clicking on a point it is possible to see roughly how many road users will be affected by disruption on that part of the road network, whether it is caused by Games Lanes or simply a broken down vehicle. For example, if you select the red dot on the A4 between Hyde Park and Knightsbridge tube stations you will see that on an average day 52,565 motor vehicles travel along that stretch of road in both directions, 36,917 of which are cars. There were also 2,569 bicycles. As an average this data does not differentiate between weekends and weekdays, or between term-time and school holidays.